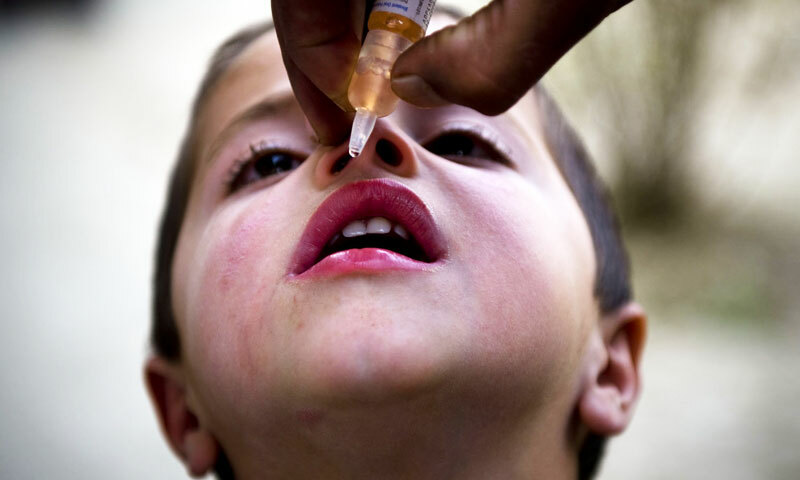 PESHAWAR: Lacklustre attitude of the United States towards anti-polio programme has been hampering polio eradication efforts by Pakistan, especially in Federally Administered Tribal Areas, as one fresh polio case each was reported in North Waziristan and Peshawar on Sunday, officials said. They said that the recent drone strike that killed TTP leader Hakeemullah Mehsud in North Waziristan tribal region had dealt a serious blow to the dialogue process aimed at resumption of the much-needed immunisation campaign there. According to the officials, the government had started talks with Taliban in North Waziristan a week ago and their response in the first round of talks was extremely positive, but the attack had spoiled everything. Meanwhile, one each positive case was reported from North Waziristan and Peshawar on Sunday. Both children didn’t receive the oral polio vaccine, said the officials. Taliban banned polio vaccination and linked its start with the stoppage of American drone attacks in June 2012 in North Waziristan Agency where an outbreak of polio has infected 17 children in 2013 so far while dozens others risked the crippling vaccine-preventable childhood ailment, as many children could not get even the first dose of oral polio vaccine. The Fata has 39 cases of total 56 in the country so far in 2013 whereas KP recorded eight, Sindh five and Punjab four. “The ban has proved fatal. We had just begun talks with Taliban to allow OPV and safeguard an estimated 160,000 children there. The drone attack has virtually put children at risk,” the officials said. They said that the US was least interested in Pakistan’s polio programme because it never supported it politically or financially. “America has been providing support to Pakistan in health and other sectors through the USAID, but it doesn’t contribute to the immunisation efforts,” they claimed and added that the US didn’t risk transportation of poliovirus from Pakistan to its population and therefore wasn’t concerned about the disease here. “The people would not have heard any statement from the US president or any of its other political leaders urging polio eradication in Pakistan. On contrary, there are statements of support from leaders of other developed countries concerning polio eradication in Pakistan,” the relevant officials said. The US, according to the officials, was concerned only with terrorism for which it had been paying huge financial assistance to the government, but polio eradication seemed to be totally irrelevant to its interests. They said that the US continued its drone campaign in tribal areas at the cost of children who could face disabilities due to non-vaccination. “Those who have started talks with low cadre Taliban leaders for resumption of polio immunisation are now afraid to pursue talks due to their anger over the assassination of their leader,” they said. Some of the officials, however, said that the ill-planned social mobilisation campaign for anti-polio immunisation tended to present the programme as US-sponsored and the people mistook the OPV as an American’s conspiracy to render recipients infertile and impotent. They said that Taliban banned the anti-polio campaign in their attempt to defy the US. Similarly, the case of Dr Shakil Afridi who was arrested in connection with fake hepatitis vaccination campaign to reach Osama bin Laden in Abbottabad at the behest of the US was also quoted in this regard. The officials said that such incidents were presented as plots by a group of certain mindset which capitalised on anti-government sentiments and opposed programmes like iodine, family planning, polio eradication etc because they didn’t expect any good from the government. “We have to depoliticise polio vaccination programme because it had nothing to do with drone strikes or the US, they said.